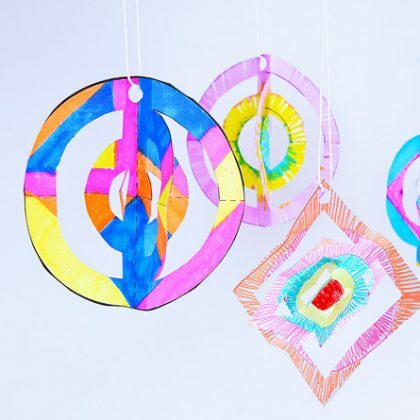 Do you make DIY ornaments each year? We started making them when my kids were in preschool and every year we try a new idea to add to our collection of homemade ornaments. As a kid I remember my mom had a collection of fabric ornaments she sewed the first year my parents were married, when money was tight, and she had to come up with creative and clever solutions for decorating for the holidays. Growing up I loved her sweet 70’s sewn ornaments most out of all the decorations we hung on the tree each year, I only wish I knew where they were now…. 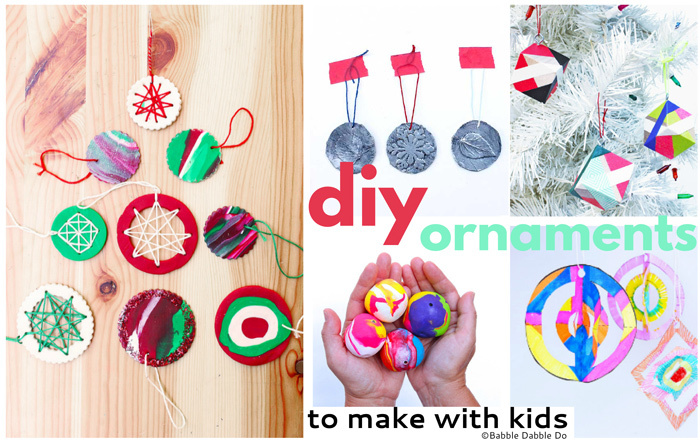 In any case making DIY ornaments with your kids is a wonderful tradition to start! 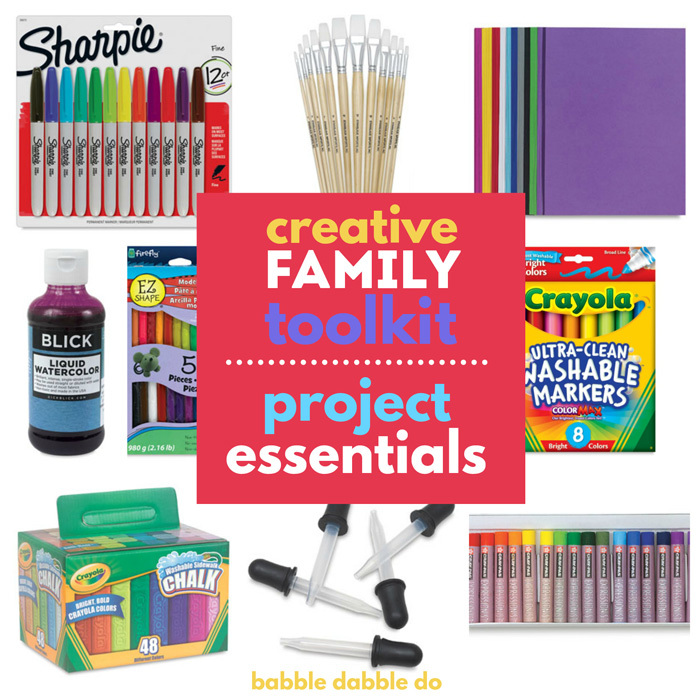 These ideas will look great on the tree and be keepsakes for years to come. I’ve collected 9 ideas we have tried over the years and most of these will be hung on our tree again this year! 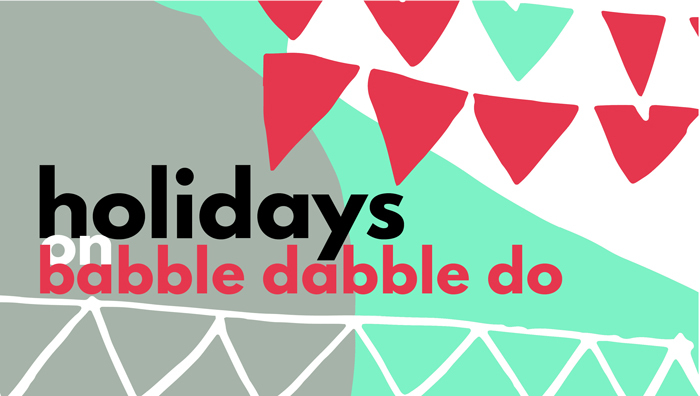 This week is Holiday Week on Babble Dabble Do! 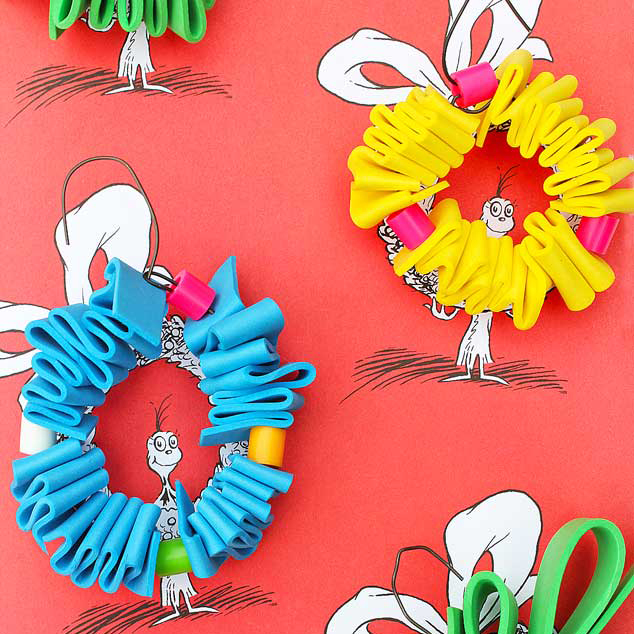 3 ways to make homemade Christmas ornaments with polymer clay. 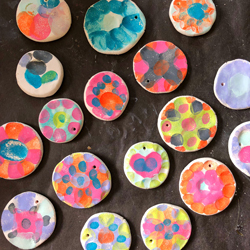 Polymer clay can be baked in your home oven so these will last a long time! 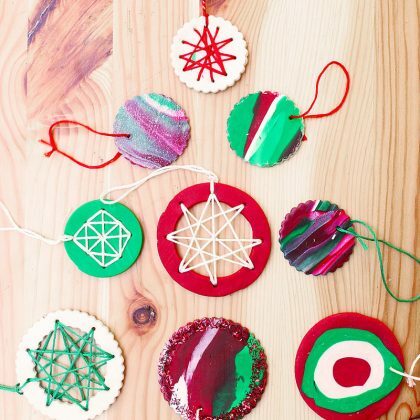 Make homemade Christmas ornaments from craft sticks and string/yarn. 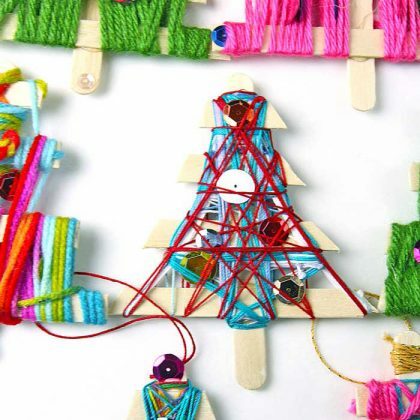 They are a fun holiday weaving project for kids. 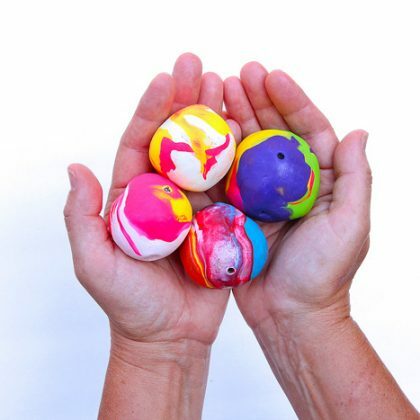 Step One Break off a chunk of air dry clay and roll it between your hands into a ball. Flatten it with a jar lid to approximately 1/4″ thick. Step Two Press a finger into an ink pad and them press onto the clay. 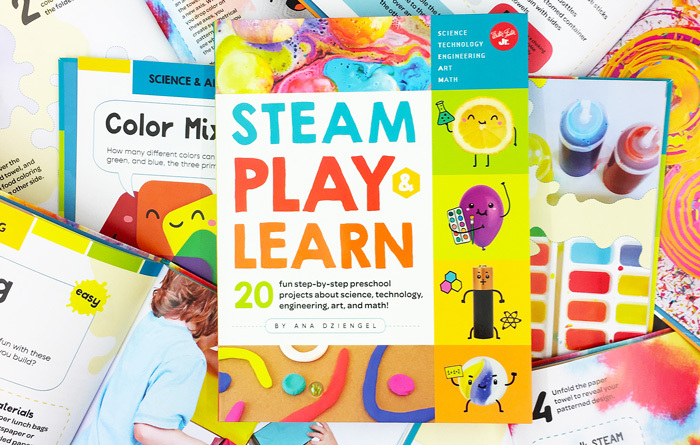 Make designs with your fingerprints. 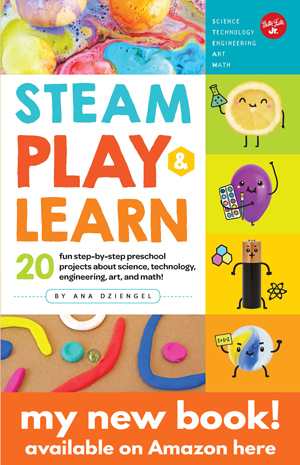 Make sure to wipe the ink off your fingertip between colors. Step Three When done poke a hole through the top of the clay medallion using a bamboo skewer. Step Four Let dry for several days until clay is firm. Step Five Add a string through the hole and hang on your holiday tree! 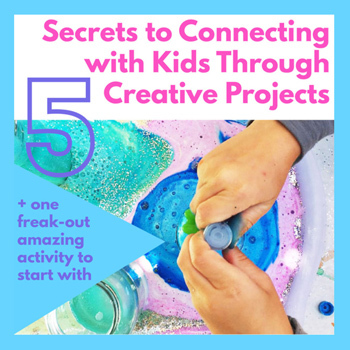 Easy project for kids and adults with stunning results! Use household aluminum foil and yarn to make them. 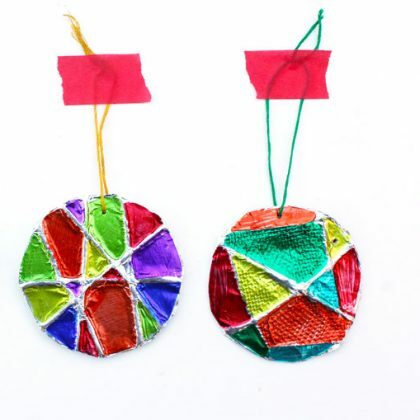 3D Paper Ornaments are an easy Christmas craft and a lovely decoration for the tree! These GIANT clay beads wields look amazing on the tree! You will be surprised at the trick we used to make them so big! 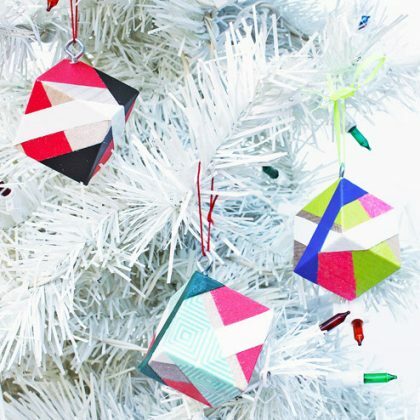 Make modern looking ornaments using wood blocks and washi tape! These easy to make ornaments look like vintage heirlooms…Surprise! 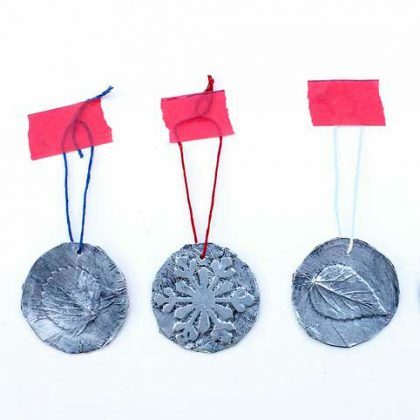 They are made from foil, leaves, and chipboard! All week we are featuring holiday ideas here on Babble Dabble Do…check back tomorrow for our collection of Creative Handmade Holiday Decorations!